Is there a better alternative to DeskDoodle? Is DeskDoodle really the best app in Desktop category? Will DeskDoodle work good on macOS 10.13.4? 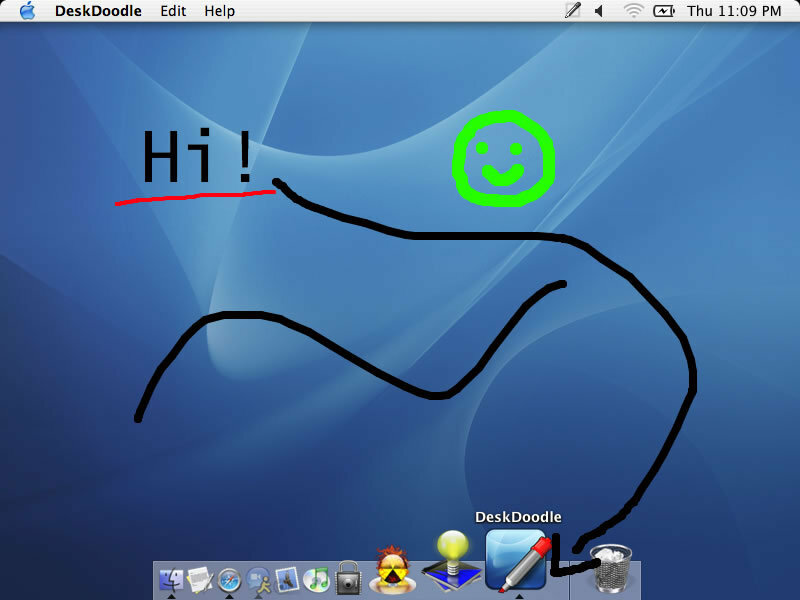 DeskDoodle is an application that allows you to draw directly onto your screen. Take notes, stamp pictures, use it for presentations, and much more! Draw anything, anywhere on your screen with different colors and sizes. Stamp any image from your hard drive onto your screen. Type anywhere, in any font, color, or size. Erase any mistake (not that you'll make a mistake...). Edit mode - The drawing is brought to the front and you can use the varying editing tools (accessible from the drop down menu) to modify it. Updated to work under Mac OS X 10.4 "Tiger". DeskDoodle needs a rating. Be the first to rate this app and get the discussion started! Above mode - The drawing floats above your desktop - but you can still use your computer as if it were not there. This is useful if you want to view notes or pictures while using your computer. Under mode - DeskDoodle appears on top of your desktop background, yet below the icons. Use this mode if you want to view your drawing only when the desktop is visible. You can even save your desktop in a variety of quicktime compatible image file types or easily print it out.